Over the past decade, drug testing in the workplace has gone from virtual nonexistence to being commonplace, particularly within certain sectors. This growth is particularly significant within the construction industry due to the high-risk, safety-sensitive nature of the job. A major driving force in this increase is the legislative requirements for employees in the nuclear, petrochemical and transportation sectors to be tested before they are employed for the first time and during various circumstances throughout their employment. This has had a knock on effect with increased vigilance in the testing of construction workers. Research has also shown that construction has the highest percentage of problem drinkers, with nearly one in seven workers having a serious alcohol problem, and it's well proven that being under the influence of either drugs or alcohol has both physical effects – such as reduced co-ordination or reaction times – and mental effects, such as reduced concentration and the perception of risk. 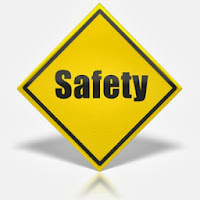 This of course, increases the potential of accidents or ill-health, particularly in a high risk environment such as a construction site, not only of the individuals involved but also those working around them. Employees in the construction and manufacturing industries are also constrained to a number of different regulations, including the Road Traffic Act (1988) and the Transport and Works Act (1992) which outline that drivers cannot exceed statutory limits of drug and alcohol consumption. Currently in the UK, the alcohol limit for drivers is 80mg of alcohol per 100ml of blood while in most other European countries, the limit is less, usually 50mg per 100 ml of blood. Some countries have lower limits for learner drivers, newly qualified drivers and professional drivers, which all must be considered. And with employers now facing personal liability for preventable occupational accidents through the Corporate Manslaughter and Corporate Homicide Act (2007), it is clear that firms need to be proactive and take necessary steps to avoid drug and alcohol related incidents before they occur. While research has found that construction companies that test for drugs appear to have a reduction in workplace injuries, with the average company experiencing a 51% reduction in its injury rate within two years of implementing a drug testing program, drug testing in the construction sector is not required by law. Instead companies that choose to test employees do so based on their own company policies. The number one reason for employers in the construction industry drug testing their employees and job applicants is to promote the safety of their workers and those who use their products and services. Many company officials also believe that drug testing contributes positively to a company’s image and is an effective deterrent in preventing drug abuse. SkyBlue, part of the Carillion Group, is one such firm that has had a robust drug and alcohol policy in place for many years now. As a recruiter with thousands of people working on its behalf across customer projects, the firm recognises its statutory duty under the Health & Safety at Work Act to protect their health and safety. At the same time, the Management of Health & Safety at Work Regulations require the firm to assess risk and put in place arrangements to control them. The recruitment firm operates random testing in many of the sectors it recruits for, depending on specific risks, legislation or other requirements such as customer needs. "A workforce that takes its role seriously and professionally will naturally abide by the rules and individuals that are willing to use either illegal substances or to operate machinery with alcohol in their system in excess of the legal driving limits clearly do not have a healthy approach to safety”, says Alistair McIntyre, senior health and safety manager at SkyBlue. Skyblue’s policy clearly sets out the firm’s commitments regarding drugs and alcohol at work, standards and procedures that define substances, cut-off levels, testing methods and standards as well as the processes for conducting testing and dealing with the results. And the firm also has guidance that helps people understand the consequences of taking drugs or alcohol along with various support mechanisms that can assist individuals with any personal problems.